This volume provides new perspectives into the challenges of citizenship education in the age of globalization and in the context of multicultural and conflict-ridden societies. It calls on us to rethink the accepted liberal and national discourses that have long dominated the conceptualization and practice of citizenship and citizenship education in light of social conflict, globalization, terrorism, and the spread of an extreme form of capitalism. 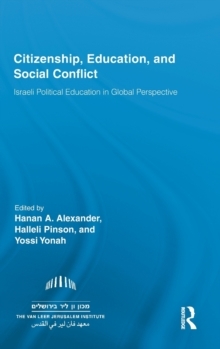 The contributors of the volume identify the main challenges to the role of citizenship education in the context of globalization, conflicts and the changes to the institution of citizenship they entail and critically examine the ways in which schools and education systems currently address - and may be able to improve - the role of citizenship education in conflict-ridden and multicultural contexts.